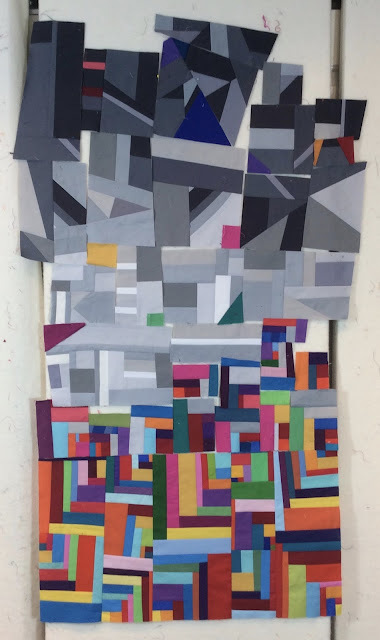 Quilt Matters: TGIFF! - Lunch Anyone? Now for OctoberQuest 2! Please make sure you READ the rules BEFORE you link up. We had to unlink several folks last week and I'd rather not have to do it this week! Your quilty project must be completely finished (As much as we love celebrating quilt tops or completed blocks, they will not be eligible for the prizes so we will need to unlink them). You may enter more than one finish and even more than one finish each week. 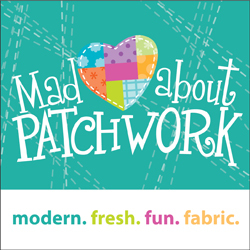 Just add a link for each finish to one of the linky parties. The linky parties will stay open until the end of the month. Your blog post or photo on Flickr/Picasa must have a link back to the TGIFF! site and the particular party you are participating in. Posts without links will be deleted. OctoberQuest will be open until October 31st at 11:59 p.m. EST. Winners will be picked via Ms. Random Number Generator on November 1st and notified via email. Please make sure we can contact you via email or we will blow the gift certificates on ourselves need to run Ms. Random again. 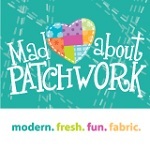 1) Mad About Patchwork is giving a $50 gift certificate to two lucky participants! There's something for everyone too - Pam's offering a 10% off purchases for the month of October to all OctoberQuest participants -- just use TGIFF10 at checkout. 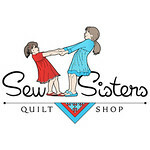 2) Sew Sisters Quilt Shop is giving a $50 gift certificate to two lucky participants! They too are offering 10% off purchases (excluding classes, clubs and block of the month programs) for the month of October to all OctoberQuest participants -- TGIFF10 at checkout! 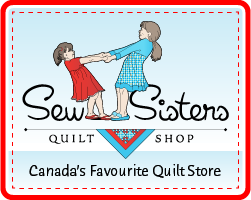 3) Christa Quilts is giving a $25 gift certificate to one lucky participant! 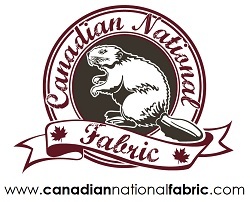 Christa is having a special fall blowout clearance sale - take an extra 10% off her clearance section when you use the code 13CLEARANCE at checkout. Sweet bag! Love the fabric choices! MR, that bag is beautiful! Thanks for hosting the linky party! Thank you for hosting, I should try to link up more often. Haha!! Snap for the same finishes!! 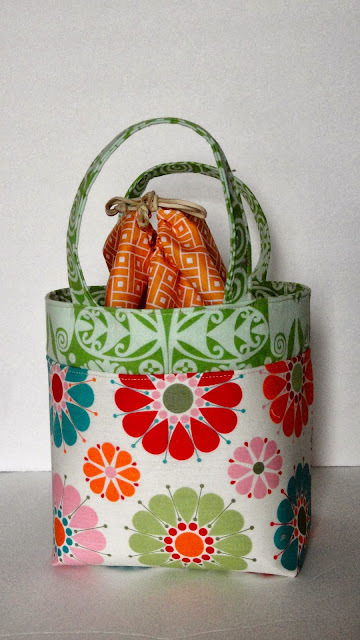 Love the fabrics you used for this. aahhh nevermind - I see it's adding them top first. . . that's cool! This bag is so cute! My mother in law takes her lunch to work, I think I am going to have to make this for her now! I would love to receive one of your lovely lunch bags for a birthday present. It is so beautiful, bright and perky. I think if one carried it to their workplace it would be the talk around the lunch table! Thanks for hosting TGIFF. I am so happy to have a finish! Sweet gift! I love surprise parties, such fun! I really like this pattern as well. You just reminded me I need to make some, lol. I really need to make one. I've had this on my to-do list for too long. 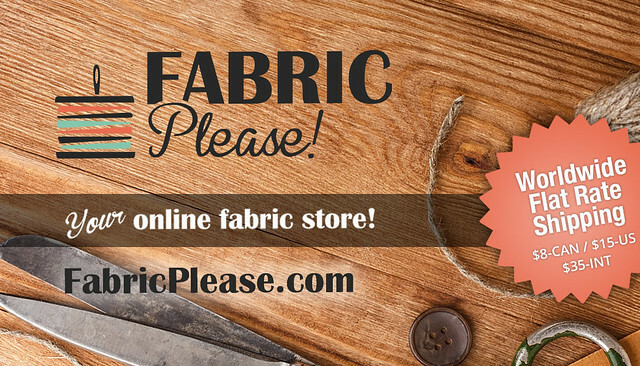 :) Love your fabric choices! This was one of my favorite incentives last year, I am so glad you guys brought it back! 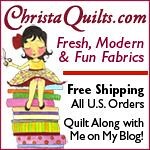 Now I am listing my eyes all over my project list to see if I can fashion a finish by the end of the month!! I love that lunch bag, very well done of you again! As always you definitely have an eye for color and fabric choices. And now off to sneak a peek on those who have entered in their wonderful finishes and think about what to offer up myself.